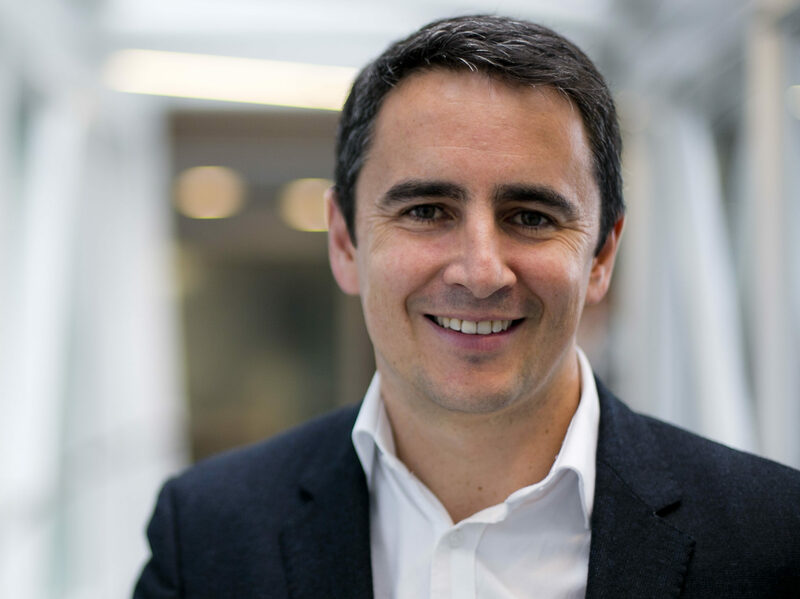 Google’s UK boss has told Press Gazette the digital giant is “ready to partner” with the UK Government on the outcome of the Cairncross Review into the sustainability of high-quality journalism in the digital age. News publishers have called for a new licensing system to ensure that digital giants pay a fair financial contribution for the professionally-produced news content which they benefit from. A tax on the tech giants to fund high-quality journalism has also been floated as a way to get them to pay more back to the news industry. Ronan Harris, Google’s vice president and managing director for the UK and Ireland, said the company was “committed to making sure that there’s a sustainable, viable journalistic future in the UK”, but refused to say whether it would oppose a tax on tech giants outright. The Cairncross Review, led by Dame Frances Cairncross, is currently looking at “what intervention might be required to safeguard the future of our free and independent press”. It comes off the back of widespread cuts and closures across the industry, notably in the local and regional press, which have left some local authorities without any critical news coverage. Harris (pictured) would not comment on the outcome of the review before its findings have been published – a call for evidence closed last month – but said: “I think the key question here is, how do we develop a constant rhythm of innovation that matches the changing demands of the consumer. Harris was speaking to Press Gazette as Google announced a commitment to train another 10,000 journalists over the next three years, covering digital newsgathering tools and online verification techniques, this week. This will bring to 30,000 the number of journalists the company has invested in training in the UK through its Google News Lab. The company’s charitable arm, Google.org, has also pledged money to the Student View – “helping them achieve their goal of creating a newsroom in every school” – as part of its media literacy programme for children. 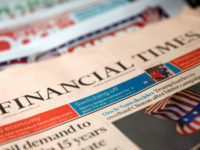 The Financial Times will help fund the scheme and will put its journalists in schools as mentors, with workshops to support ten secondary schools in London this academic year. 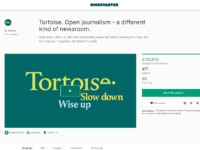 Google also announced a £250,000 grant for Bureau Local – the collaborative network of more than 450 local journalists that forms part of non-profit UK outfit The Bureau of Investigative Journalism. The money is on top of a three-year €662,000 grant (£580,447) from the Google News Initiative (formerly the Digital News Initiative) which helped to get Bureau Local off the ground. Through its news initiative scheme, Google has pledged a total of €300m (£214m) to the journalism industry globally. Part of the initiative is the creation of a new platform to manage subscriptions to news outlets called Subscribe With Google, which it has launched with the FT and Telegraph in the UK. Harris said the platform is the result of conversations with the news industry about how Google can help to find subscribers for publications. Google is only seeking to cover its own costs with the platform, which Harris said would be a “very small percentage” of revenue generated. Press Gazette asked Google if the money it is putting into the news industry amounts to nothing more than “sticking plasters” when the news ecosystem itself is broken as publishers lose the competition against it – and the likes of Facebook – for digital advertising spend. Our Duopoly campaign, launched in April last year, calls on Google and Facebook to stop destroying journalism and pay more back to news publishers on whose content they rely. Google parent company Alphabet made revenues of more than $110bn (£83.9bn) last year, up 23 per cent year-on-year. The vast majority of this comes from advertising on Google. In the three months to the end of June this year – the latest quarterly figures available – Alphabet made £32.6bn, up more than a quarter on the same period the year before. Of this total, about 85 per cent – £28bn – was from Google ad revenues. Meanwhile, news publications are reporting losses and falling revenues. “It’s definitely not a sticking plaster,” Harris told Press Gazette. “News is incredibly important to society, it’s something that Google is very passionate about, we want to make sure that it has a long and vibrant future in the UK and globally and we want to partner with the news industry to make sure that we help identify new, innovative ways of making revenue – but also use technology to support and bolster the more traditional forms of subscription revenue and advertising revenue. “And just to reiterate, in every instance where we’re helping newspapers and news journalists make advertising revenue, they are always getting the vast majority of that revenue. Harris, who has worked at Google for more than 13 years, said he disagreed “slightly” with the claim that while Google was making money, news publishers were faltering behind. “I think when you dig into the figures for those newspapers that publish accounts, you’ll find that digital advertising revenues are actually growing strongly, by-and-large, usually in high-double digits and we are a partner to that growth,” he said. “I think when you’re seeing decline in newspaper revenue is from print and print advertising particularly. Now it’s very difficult to generalise across an entire industry, but certainly if you look at some of the public accounts of some of the large publications, that’s what you see. 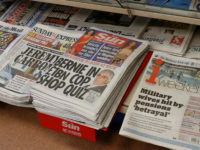 News Group Newspapers, publisher of the Sun titles (the Sun continues to be the best-selling UK national newspaper), made £424m in revenue last year, down 5 per cent year-on-year, and a pre-tax loss of £24m. Although it did not give figures, it said digital ad growth on the Sun, which moved out from behind a paywall in 2015 and had a website relaunch in 2016, “partially offset” declines elsewhere in the business. But digital ad income looks unlikely to replace that lost from falling newspaper sales and print advertising money. Google insists that, by-and-large, it does not compete with newspapers for digital ad spend. Harris said search advertising – ads that appear in search results – “is not something that newspapers have ever participated in”. “Newspapers have been primarily involved in two forms of advertising – one being classifieds… and the other display advertising. And yes, we do have some properties that compete for display advertising, but by far the largest part of the display advertising business that we run is where we support third-party advertisers to grow their digital display revenue. “And we do that through providing technology in the first instance and secondly by connecting them with the advertisers in our eco-system. “We do that very successfully for lots of publishers online, not just news publishers, and that’s the area that is leading to the strong double-digit growth that we see in those news publishers that I alluded to earlier on who publish their results”. He said that last year, the amount of money paid out to third-party publishers by Google was in excess of £12.6bn – “so this is not trivial, this is significant”. While some publishers adopt a paid subscription model, putting up paywalls around online content, it’s not yet clear whether this will generate enough revenue to sustain a daily news operation engaged in investigative reporting. Times Newspapers, which now has 500,000 subscribers across the Times and Sunday Times, saw revenue fall by £22m in 2017 to £319m, according to full-year accounts at Companies House, and made a pre-tax loss of £6.5m. Said Harris: “I think that because of a shift in consumer [habits] nobody’s got the crystal ball or the perfect mix. “We’ve got everything from membership models to donation models to full subscription models to advertising-only models and I think it’s going to be a combination of those types of models for filtering new revenue streams. “So we’re starting to see publishers move into areas that have commercial revenue streams attached to their publications as well. He said he believed publishers would use a “mix of subscription and advertising and membership models” to support themselves in future. “I also think there will be an opportunity for some commercial models alongside that,” he added. 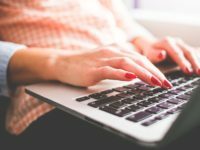 “We’re seeing some publishers… experiment with having e-commerce and other types of services sold through their websites as well to supplement advertising and/or subscription models. He said the news industry should be thinking about where the consumer is going to be and making sure they get “great quality news in front of those eyeballs” as well as having the tools and technology in the newsroom “to be able to find those great stories and hold people to account”. 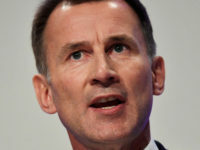 Harris said he believed it was “correct to say” that local news, which is facing a crisis of sustainability that has largely prompted the Government’s review into the press, had “started on this journey of innovation later than any of the national publications”.